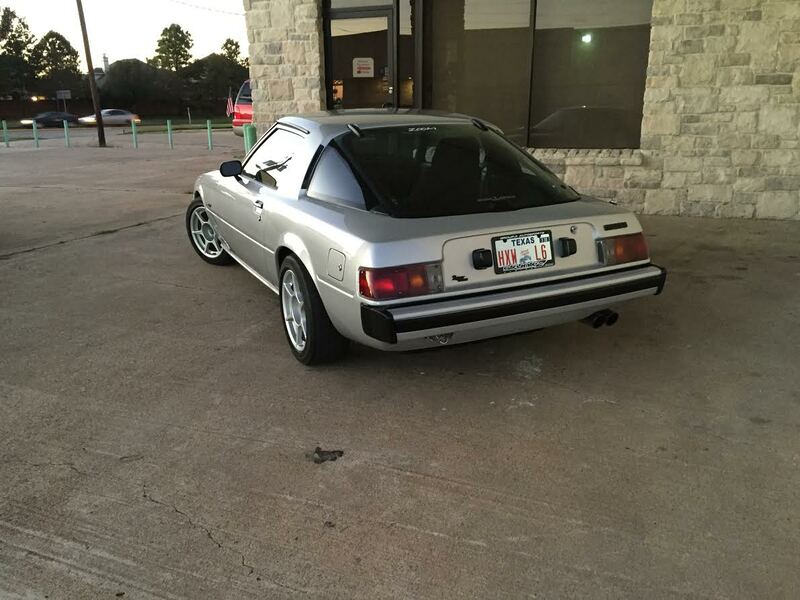 This next seller submission is a Daily Turismo exclusive that comes from Steve W located in Houston Texas. It looks like a real gem of a V8 swapped RX-7 with a nice looking interior and exterior. 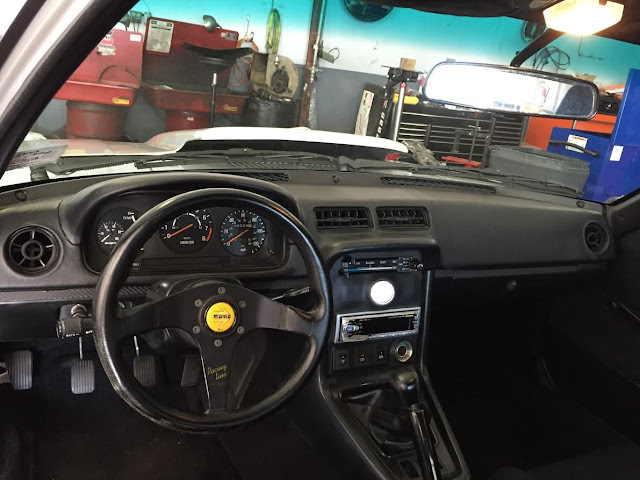 Find this 1978 Mazda RX-7 V8 Swap for $15,000 here on DailyTurismo...just send at email to tips@dailyturismo.com and we'll put you in contact with the seller. the rx7 is located in houston texas the Odometer shows 32k .has 1968 well built 302 V8 backed up to a t5 5spd factory jdm posi rear diff .the car runs fantastic. no A/C would be perfect for some one who lives up north or in California it's to hot in texas in the summer to enjoy it unless you are a lizard or a gecko.every thing else works. A well built 302 with fuel injection mated to a T5 manual is a good combination that will keep most speed junkies very happy for years. Steve W - really nice work. I just noticed the subtle cowl hood that was added. 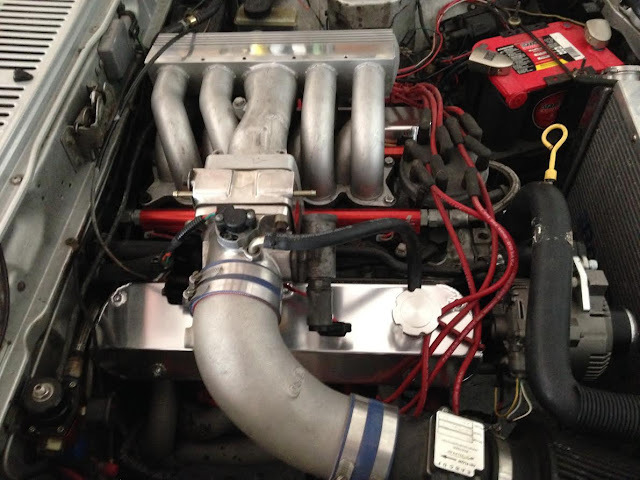 What intake is that? Hope it goes to a deserving new owner. Did they even make 302's in 1968? I know they had 289's. Nice job sorting out the Fuel Injection. What type is it? harwood cowl early gt40 intake that's been worked on for better flow. The prices of early first-gen RX-7s in really clean condition are getting near 5-figure territory now. I don't think non-originality is a problem within the RX-7 community. With the level of work this one has had, I don't think the asking price is too out of line. More a matter of finding the right buyer. It'll happen. Is this a super early car ? I thought 1979 was first year for RX-7 in the US. I just don't see the value not trying to beat up on seller i wish you best of luck with your sale. Here is an 85 rx-7 chevy V-8 for 8k not the exact car but price is about half of feature car do your home work is all i say again wish you the best with selling it. Still, the silver car listed above is more interesting (to me personally). Maybe not a better deal, but a 1978 with low miles and a FI 302 is more unique than a 1985 with high miles and a carb'd GM 350. Yes, there's a difference in price, but there's also a difference in vehicles and I would bet the '78 will hold value better over time. Sounds like this seller is open to considering offers. Either way, I'm not losing sleep over it because I'm not in the market for one of these. I'm saving my dough for a fleet of Suzuki X-90s. true its not the same car.be it a nice car it's worth 8 grand it is a track car no interior sound system hell i have 3 grand in sound and interior and it is fuel injected reliability.not the same caliber. There is a picture of the interior in the lower post's (I believe) not the stripped car before being finished. Yes FI is nice.